Switzerland based furniture manufacturer de Sede has two new sofas, the DS-1064 and 1264, both designed by Hugo de Ruiter. The DS-1064 is neither sofa nor suite; it is most surely not a row of neatly arranged seating elements. Not in the slightest! It is a living environment that „looked at surrealistically* resembles a little city of seating. Its technology is a stroke of genius that has been elaborated from the DS-164. This means that its backrests can be moved easily to virtually any position desired. Added to this, its expanded modular system of seating elements affords possibilities of constructing a living environment to meet one’s own very individual requirements. This enables owners to create designs that reflect their mood of the moment and to alter them to keep abreast of every change they undergo. This makes for a tiny island of peace and security – not at the end of the world, but at our very feet – so that we can revel in a paradise of seating in our very own living rooms. Visit the de Sede website – here. The new DS-1264 bench system is a variation on the DS-1064 sofa. But unlike its big brother, it manages without backrests and adjustment, providing quick and practical seating for the lobby or reception area. 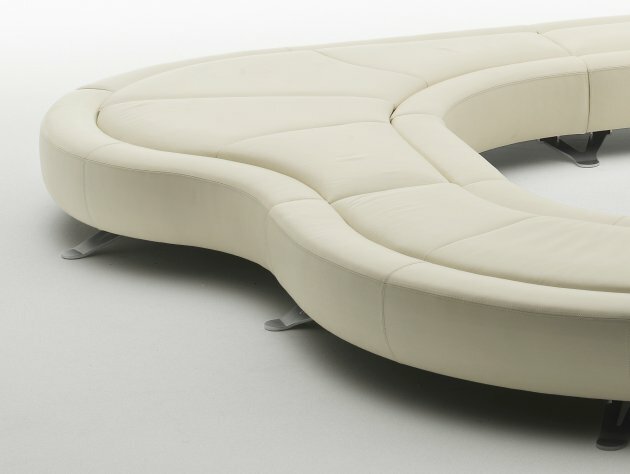 Various elements – straight, curved, seating islands and corner modules – give this model an incredible degree of flexibility. 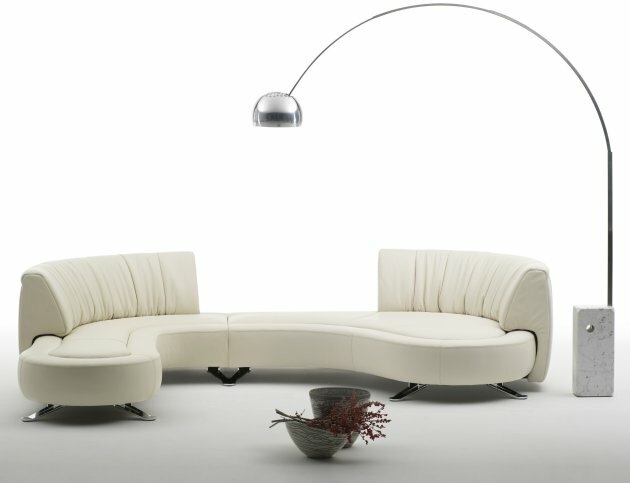 Thanks to its sculptural effect it can fill large spaces or meander strikingly through the room. Its wooden body is covered in comfortable upholstery with decorative double saddle stitching. For the chrome-plated legs with their high-gloss or pearlescent finish, customers can choose either a convex rounded leg or have a metal leg with a round cover. Here, too, there is a coloured lacquer option for the finish.